That was one declaration among the commentary I’ve seen in response to the Roots remake announcement. I’ve also come across comments calling for a protest of A&E and its sister networks (History, and Lifetime) which will air the miniseries on Memorial Day evening. Personally, I feel that it’s unfair for one to discourage others from watching something based on their own disapproval. It’s not unusual for people scoff at the notion of a film or show being remade. Perhaps it’s because so often it doesn’t do justice to the original. In that regard, it’s no surprise that the announcement of the Roots remake was met with uncertainty and in some cases outright disapproval. There are some whom are loyal to the original, which became a classic back when it was released in 1977. Conversely, there are those who oppose to the reboot for a multitude of reasons—most notably, the fact that slavery has been the primary topic when it comes to the exploration of black history. There are also those whom are critical of the original, citing the fact that the source material—Roots the novel by Alex Haley—was a combination of fact and fiction, something Haley, himself had admitted. 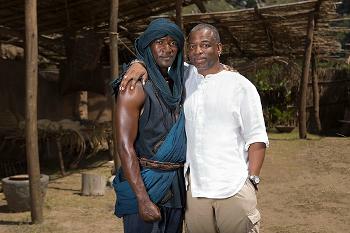 Given that Roots will air on the History channel, it’s apparent that some people are disappointed that any amount of fiction will make its way to History Channel’s airwaves. Yet, I think it’s worth mentioning that Roots isn’t the first piece of historical fiction to be broadcast on the History Channel. Sons of Liberty is one such program that falls under that category, not to mention the reality-based shows that aren’t entirely historical, if at all. That said, the revamp of Roots is timely and relevant for many reasons, including the broadening divide in today’s culture, particularly within—and as a result of—the current political climate as well as the rampant racial injustice still festering within. While a certain presidential candidate proclaims that they want to make “America Great Again,” and one of his rivals has countered that “America has never stopped being great,” an important part of history seems to be getting loss in the cracks. While America is a great country and there is no place else I’d rather live, it hasn’t always been great for everyone. To insinuate otherwise is to take an eraser to this country’s past, leaving a void in which we’ll inevitably revisit by way of ignorance. I’ve already seen examples of how historical lessons are being candy coated for our future generation; in one case, students were taught that Africans came to this country in pursuit of a better life. This in itself is indicative of the need to continue to tell stories like Roots. Though some may argue that it isn’t completely factual, it nevertheless serves a purpose to generate an interest in this segment of not just black history, but American history. Films like Roots aren’t meant to be the sole form of education about this sensitive topic, but rather a catalyst to inspire viewers to delve deeper into history and perhaps learn something about themselves along the way. Sometimes, artistic license is taken in order to achieve that aim by telling the story in a way that translates well to modern audiences in the allotted running time, just as director Steve McQueen did with 12 Years a Slave. It’s been a long time since I saw the original Roots, but it has stuck with me up until now. So, when I first heard the news of the remake I had some mixed feelings at first. Yet, when I learned that LeVar Burton and Mark Wolper—son of David L. Wolper, who directed the original—were at the helm, co-producing the project, I immediately had faith that the remake would be handled with the utmost respect. Both men have clearly expressed their passion and dedication to the project and I look forward to seeing the results of all the work they, the cast, and crew, undoubtedly put into it. 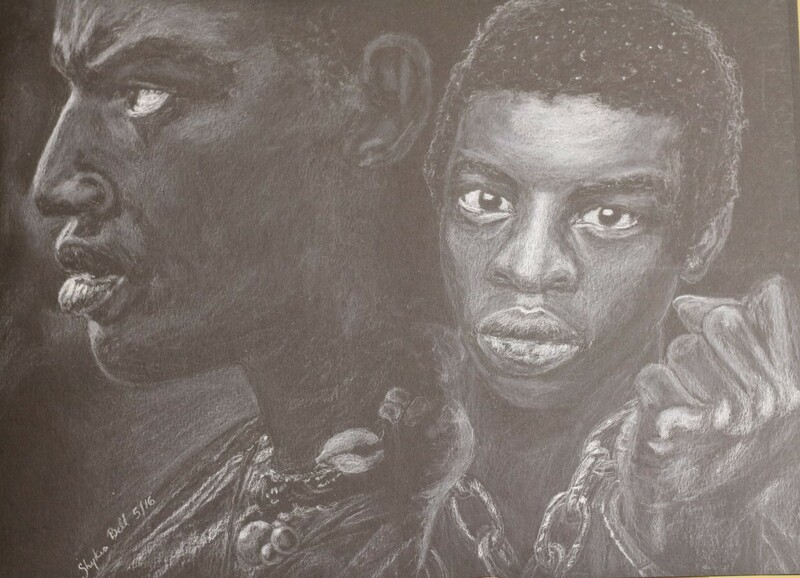 In closing, I would like to state that while I agree that there should be equal focus on the era that predated African and African American slavery, there needs to be a viral demand to have such stories represented in the mainstream. This is a topic I plan to address in a future blog post. What is your opinion about the Roots remake? Do you plan to tune in? This entry was posted in Uncategorized and tagged 12 Years a Slave, America, David L. Wolper, Director Steve McQueen, education, fact, fiction, History Channel, LeVar Burton, Malachi Kirby, Original, Remake, Roots, slavery. Bookmark the permalink.